Be sure to confirm with your collection service provider to ensure you are using the signs that match the program instructions. The yes/no sign on left is available on adhesive backing for schools businesses, multifamily properties, etc. Contact us to order quantities. Please Note: When reading YES categories, they should be interpreted as "these and nothing else". The NO items on the yes/no signs are a guide based on commonly asked questions but cannot be all inclusive. Glenwood Central Receiving Station collects each material segregated by commodity or material type. Print only the pages that reflect what you want to collect from your facility. 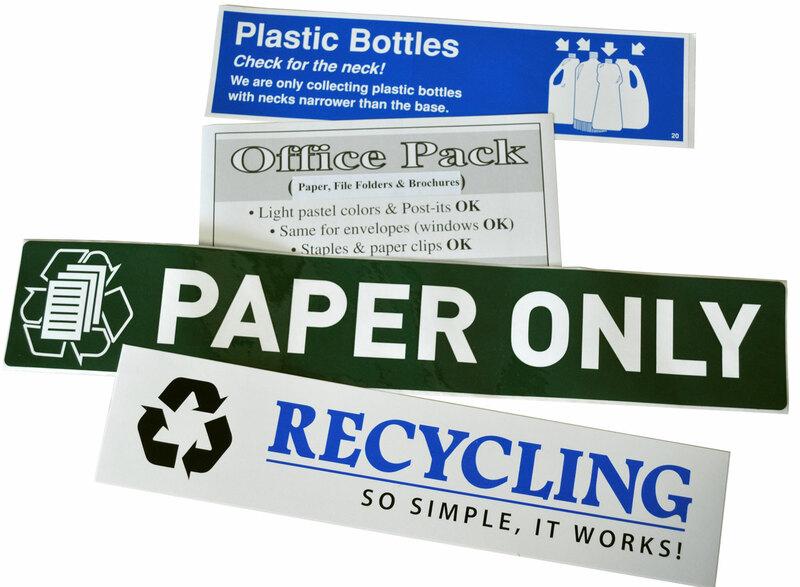 Check out this option to drag and drop the specific materials you want to collect and make your own signs for a specific project. 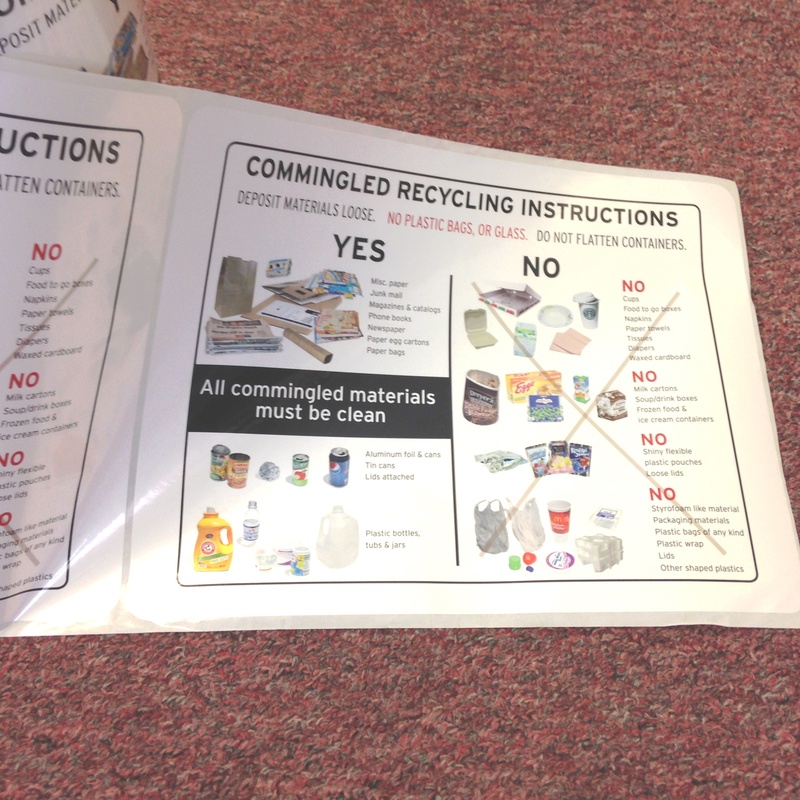 Do you wish people understood recycling better? If you want to help get the word out that recycling paint, or electronics, or light bulbs, is so easy! We've got a brochure for that--click the dropdown button below for a list of available brochures. Businesses, property managers, teachers, and responsible community members that wish to educate and support their community with recycling and waste preventing information are welcome contact us to order any quantity of the below printed resources or use any articles from our newsletters in your own business or community communications. The Transfer News, and School Newsletter, are available for other distributions to educate the community. 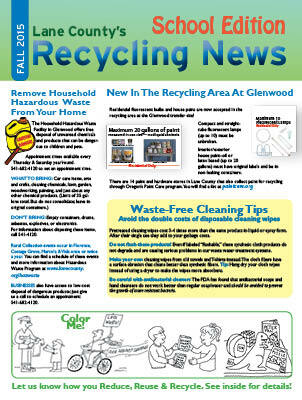 This handy single page double-sided Recycling News for the Community has great relevant articles.